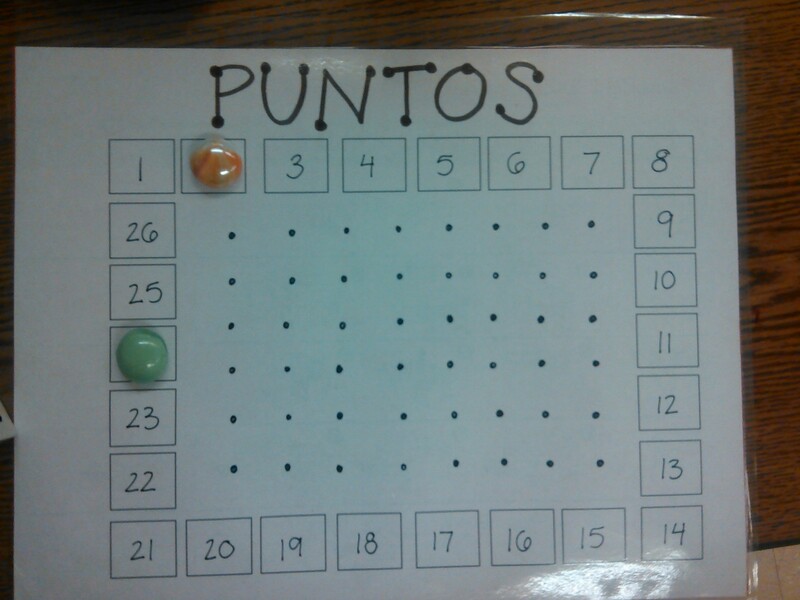 One of my favorite games to use before a test or quiz is Tomates Podridos. I created this game as an alternative to Jeopardy. I like it, because it keeps every kid and every group involved at all times, and there is an element of luck, so the “smartest” team won’t necessarily win. On the backs of the cards, put pictures to represent positive and negative points. I used a single tomato (5), double tomatoes (5), and a rotten tomato (2) to represent my negatives, and my positives were represented with a taco (5), piñata (4) and Frida Khalo (2). I also use a thief (1) to represent a switch of points, but you could use whatever. You can use my pictures here: Tomates Podridos. Feel free to change the pictures to reflect what you find relevant. 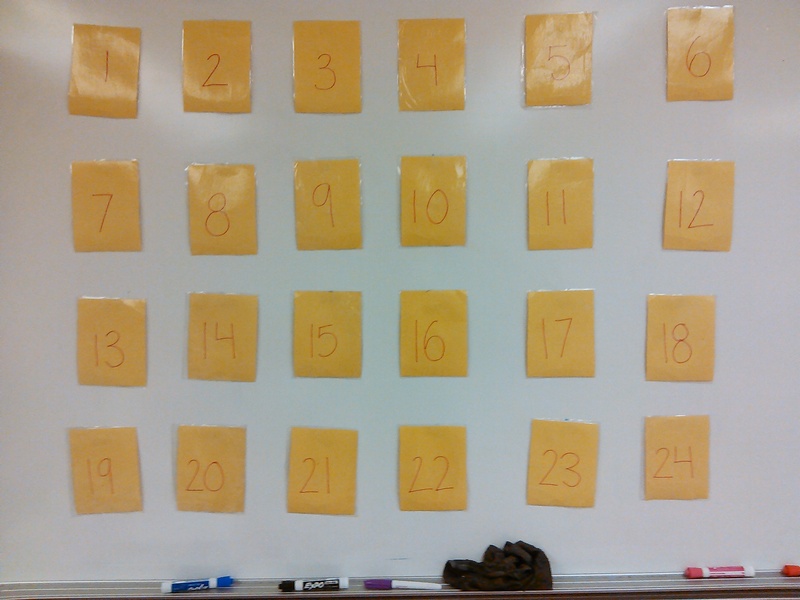 Tape or magnetize the cards to the board so that the kids only see the numbers. Create questions to represent each question 1-24. I create a Google presentation / Powerpoint to move quickly from each question. Divide the class into groups of 4-6 people. 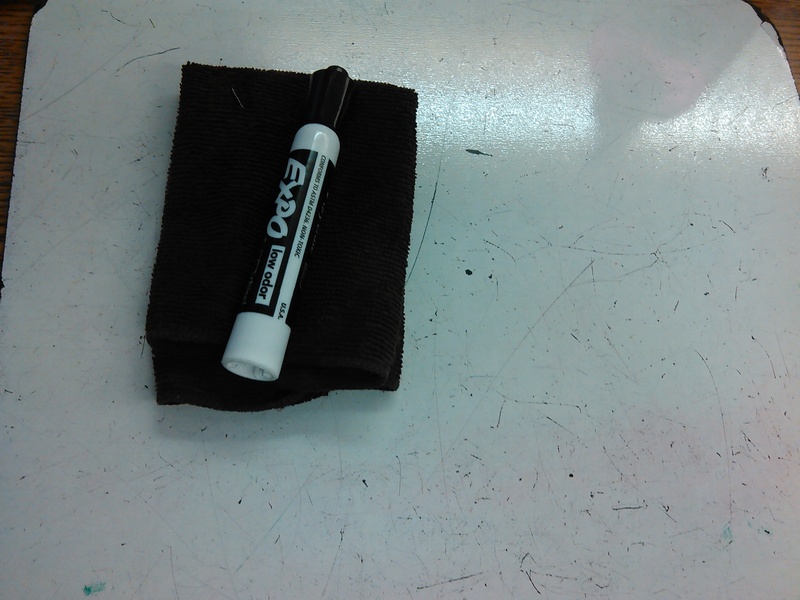 Give each group a dry erase board, marker and eraser. I usually like to stick to 4 groups total. Hand out instructions or have the students label a paper 1-24 to record their answers. Pick a group to go first. Have that group choose a number 1-24. Read/show the question for that number. Each student is to write what they think it is on their own paper, regardless of whether it is their group’s question or not. Then, they compare answers with their group and decide on one that they think is correct. They write that answer on their dry erase board. If it is their groups turn, they show me their group’s answer on their dry erase board. If it is NOT their group’s turn, they wait, because they have the chance to steal the points if the group going gets it wrong. If the group answers correctly, they receive whatever is under the card, good or bad. If the group answers incorrectly, another group or more than one group can steal the question and receive what is under the card. The winning team is the one with the most points at the end of the game. Note: You might want to create a way to change the pictures between classes OR the numbers. Otherwise the students will get smart to where the best and worst pictures are. I have the pictures taped on the back of my cards, so between classes I randomly change a few. Anyone remember playing dots as a kid? This is the game where you drew a bunch of dots on a paper and took turns making lines to connect the dots with the purpose of making a square. Here’s a quick video if you’ve never played before. 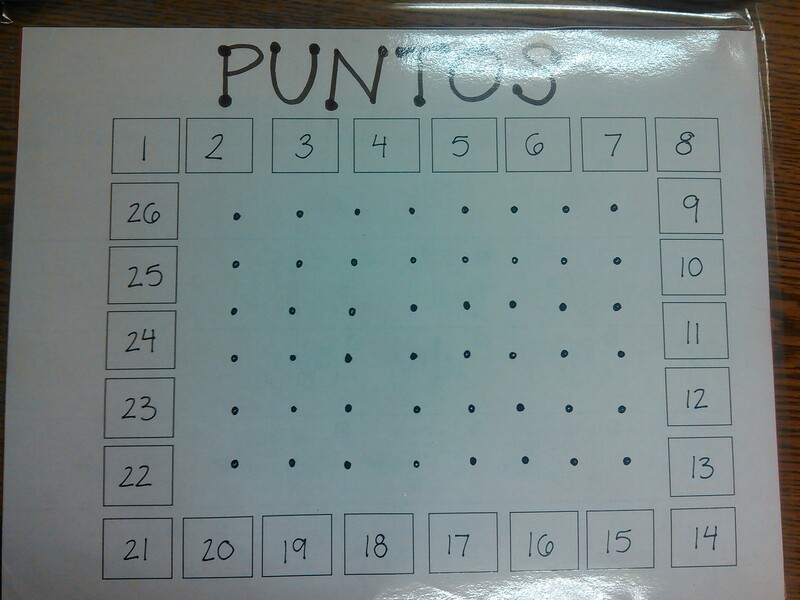 Here’s the puntos template for the board game. I just printed mine out and put them in page protectors so the kids could use dry erase markers on them. After the day was over, I laminated them to use for future lessons and classes. 1. 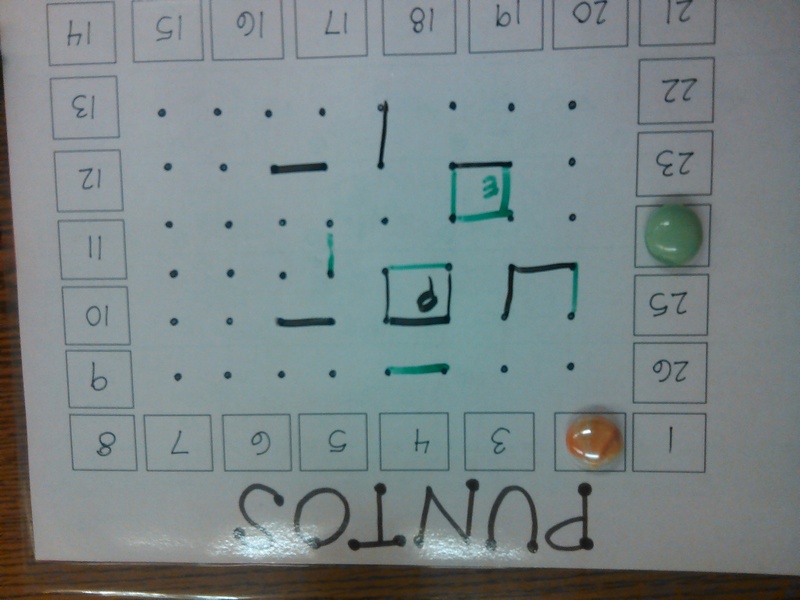 Have students work with a partner to play this game. First, they need to put their playing pieces on any space around the board. 2. Then, have students take turns rolling the dice. The dice indicates how many spaces they are to move ahead. For example, if I was on space 20 and rolled a 5, then I would go to space 25. 3. Have their partner read the question for that space. If they get the question correct, they get to draw a line somewhere in the center. If they get the answer wrong, they don’t get to draw a line. 4. If it is a student’s turn to draw a line and he/she completes a box, he/she needs to put their name or initial in the center. The winner is the student with the most squares. 1. You can easily use this with any and all topics. All you need to do is change the questions. 2. Since the board is set up in a “circle”, they might get the same questions multiple times. 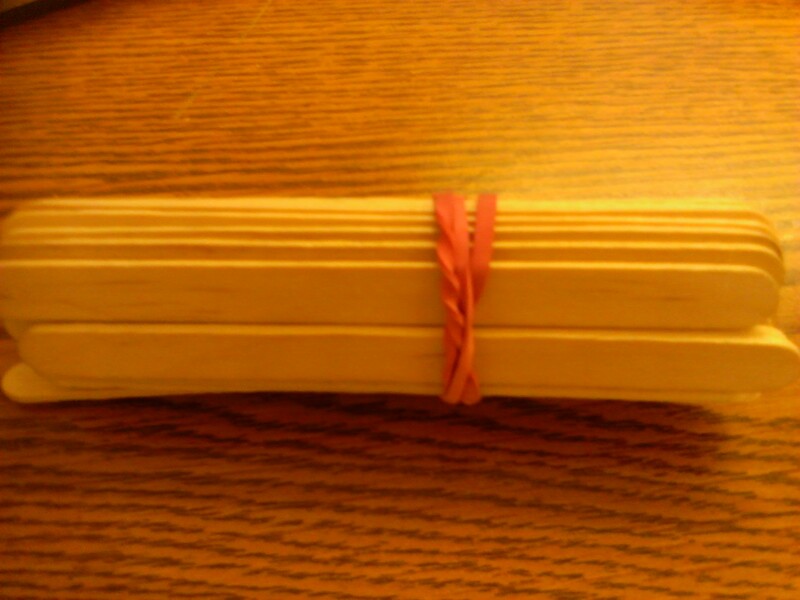 That gives more opportunities for extra practice. 3. Students love it. We played this game a little longer than we usually do, and I didn’t hear any complaints or signs that they wanted to stop. 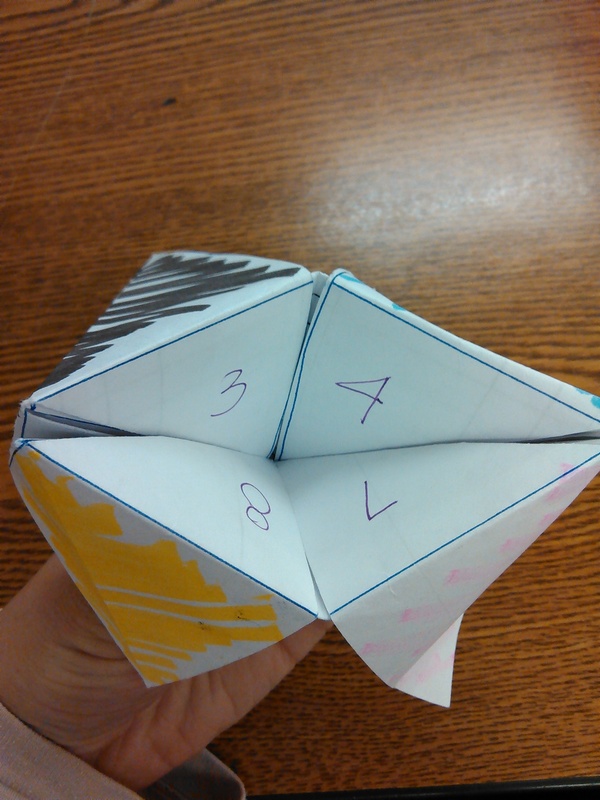 I remember the good old days of making cootie catchers with my friends. 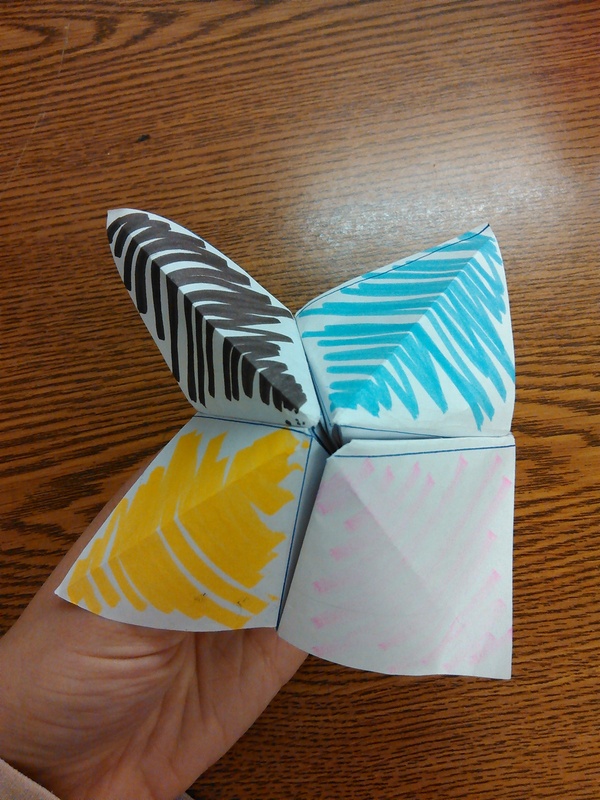 We would decorate the outside with colors, put numbers in the inside, and then write silly fortunes on the inner flaps. 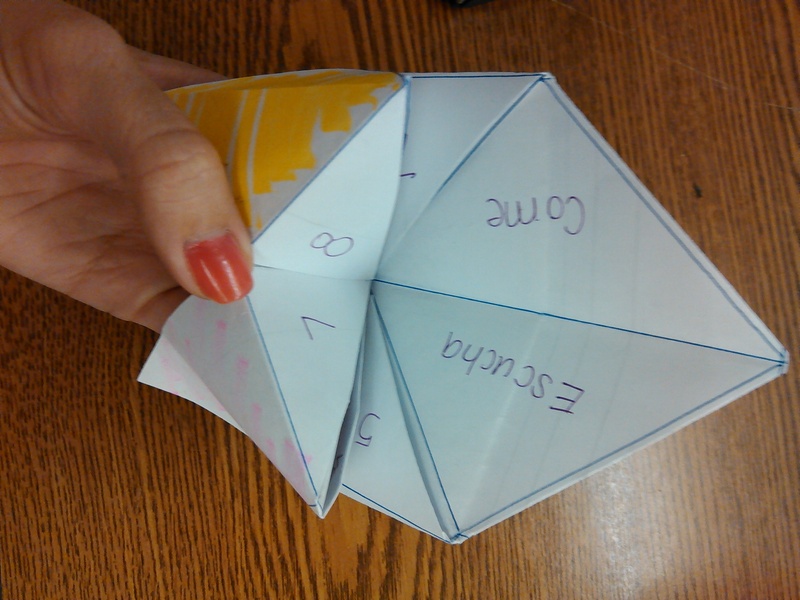 My good colleague (gracias Emily) introduced me to this website that has great templates and cootie catchers/ comecocos already made to practice Spanish. Seeing the examples gave me an idea to have my students create their own. 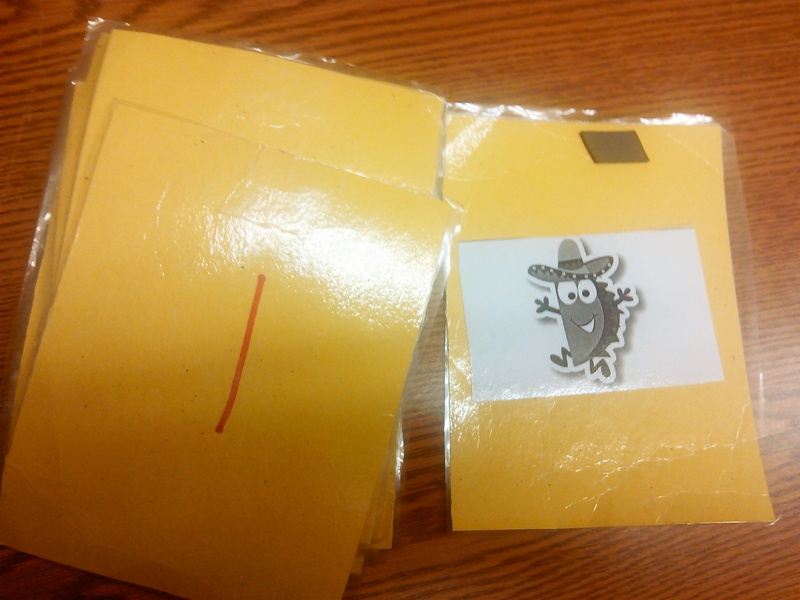 Since my students are just now learning affirmative tú commands, I had them write commands on the inner flaps. Then, after everyone had made their own, they spent 5-10 minutes going around to their peers and playing the game. I told them that they had to do the command that they got, so if it said “¡Corre!”, then they had to do a run around the class. They had SO much fun with these. I’m already thinking of how I can use these to practice other grammar concepts. 1. Project or read a question to the students. Questions can deal with anything from grammar to vocabulary; whatever you need to practice. 2. Students write their answers on their board. 3. When most students are ready, have them raise their boards so that YOU can see their answers. Then, show or say the answer. If they answered correctly, they get to draw ONE part of their monster (ex. an eye, leg, arm, etc.) on their board or desk. Most dry erase markers erase on school desks, but if you are nervous, you can just have them draw on their boards. If they answered incorrectly, they don’t draw anything. 4. The game ends when you want it to, or when you run out of questions. That’s it! Monstruo is great, because it is no-prep/low-prep. 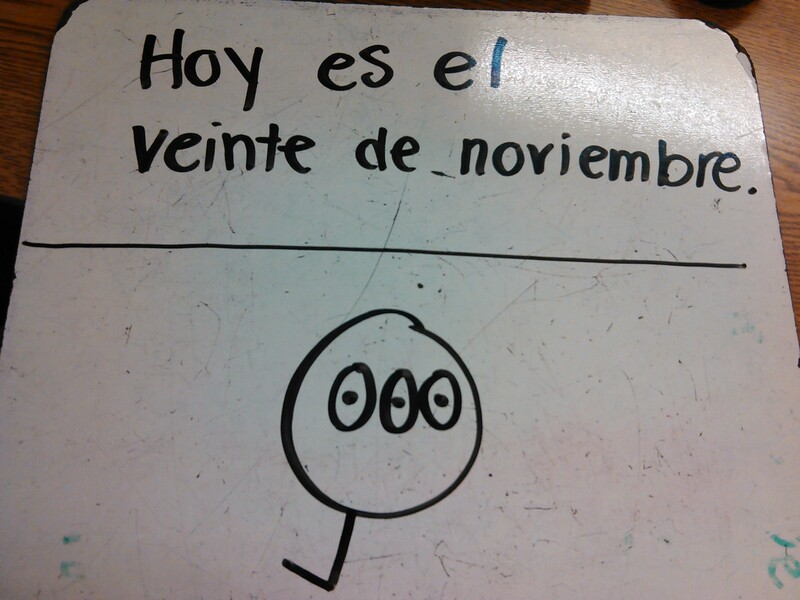 My students love how it makes a boring activity, like just writing on dry-erase boards, more exciting, and they also like to be creative with their drawings. I love how I can check their individual progress just by walking around and looking at their drawings: the more detail, the more questions they have answered correctly. I also like that when they raise their boards I can give immediate feedback on their responses. 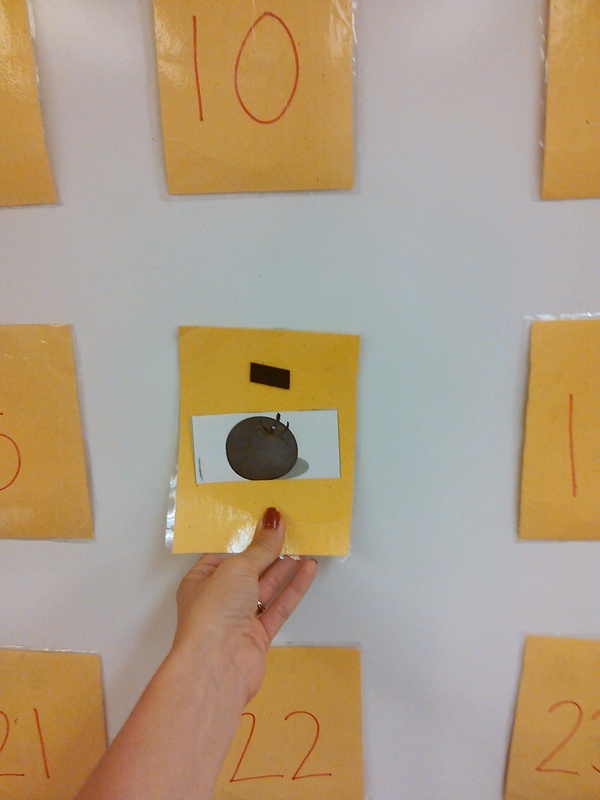 Juego Divertido is a cleverly-named game I like to use in class to practice grammar and vocabulary. Game boards (enough for however many groups you want): I like to print out, blow up, and color my own. This link has some great blank boards. Just print one off and number it. It’s as simple as that. 1. Pass out supplies to each group. I like to use groups of about four students, which means I need about eight game boards, dice, and instructions. 2. Tell them how to play! 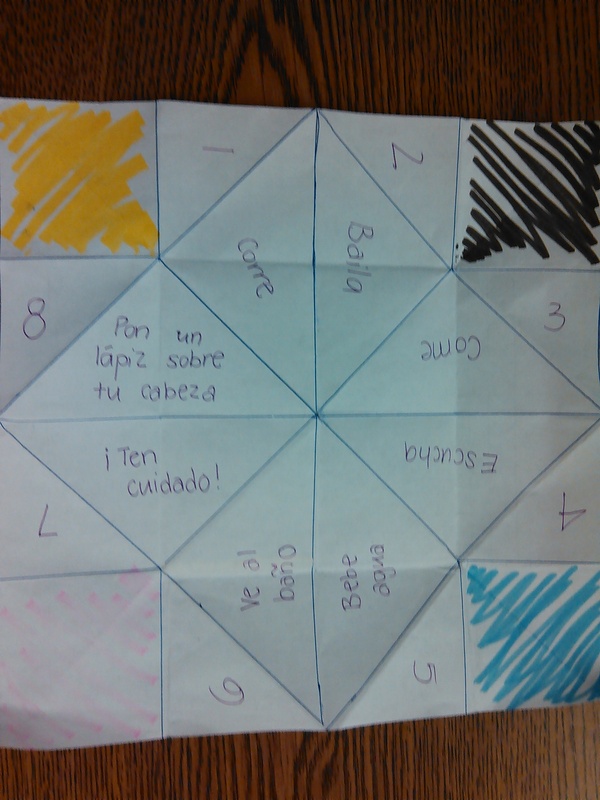 Here is a sample of what I pass out to the students: juego divertido. 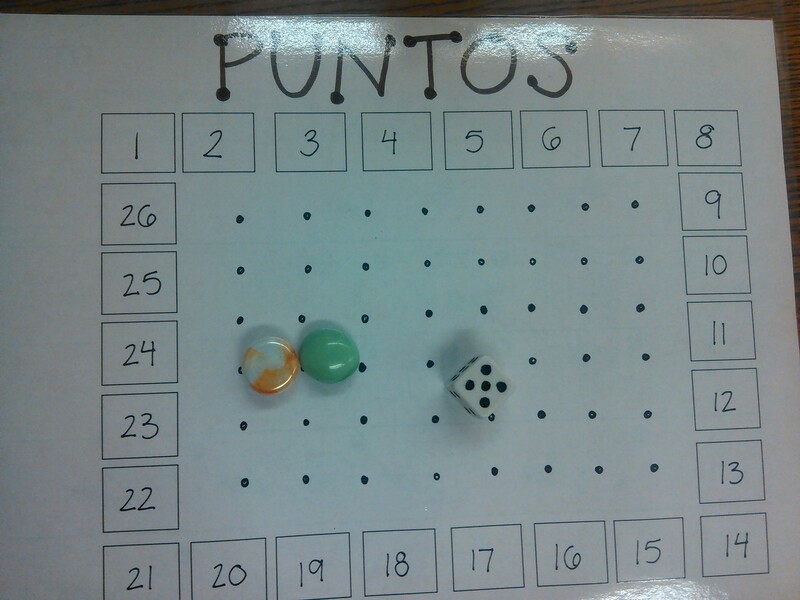 The basic instructions are to have each student take turns rolling the dice. 2 = answer the question for the space you are on now (If CORRECT, move ahead two spaces. If INCORRECT, move back two spaces). 4 = translate ALL the questions up to and including the space you are on now (If ALL are correct, move ahead five spaces. If ANY are incorrect, move back two spaces). The unique feature of this game is that it is designed to have questions repeated over and over again. Since there are so many options on the dice that can have students go back or answer previous questions, it works really well to put the trickiest questions in the beginning and the easier ones at the end. After playing the game 15 or 20 minutes they will be experts on questions 1-5, because they will have heard those questions over and over again. I like to use this game each chapter. It is so easy to change out questions to make them more vocabulary-based, grammar-based, or a combination of the two. I love activities that can be used with any area of study, whether it be vocab or grammar. That is why I love, and my students love, “Lo Tengo”. This is a wonderful activity to use to practice any concept your students are learning or need more help with. 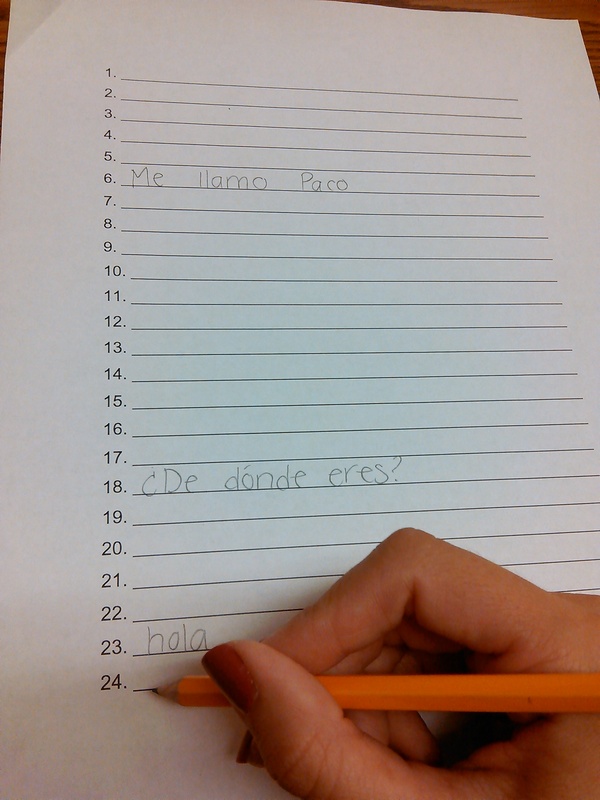 Students must be the first person to call out “Lo Tengo” when their term is called. Create a list of 15 or so vocabulary words, verb forms or whatever you want to practice. Sometimes I use simple vocabulary words, while other times I will use sentences. If you use sentences with names, make sure you repeat names so that student’s won’t think that their card is being called just because they hear the name “Rosa”. Write those 15 words/phrases on TWO sets of post-its / notecards. You want to make sure that each set is identical. Sometimes I use one color post-it for one set and another color for the other set. This helps if you find a random post it on the floor. Pass out at least 1 post-it / notecard to each side. If there are extras, I just ask for volunteers to take two. My kids love this game, so I will often have kids asking for two and even three post its. 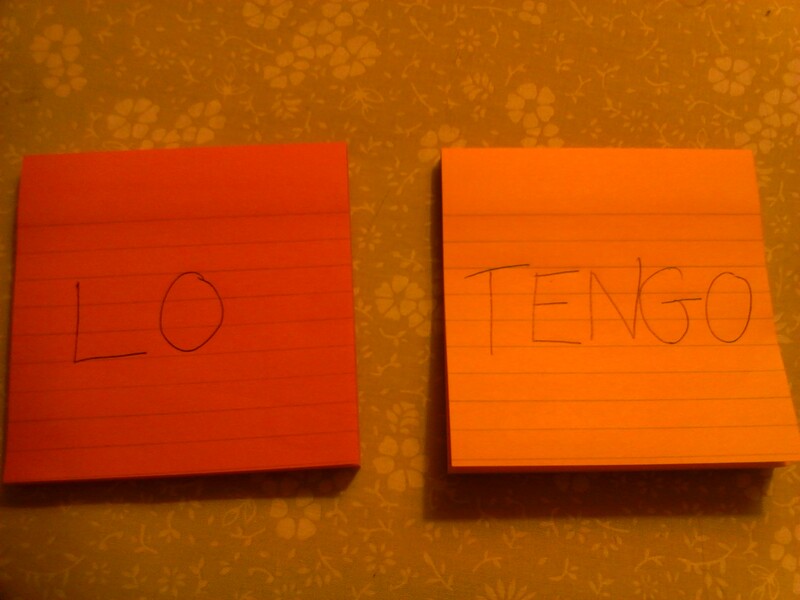 Instruct the students to say “Lo Tengo” when they hear their word called. When I call out a phrase, sometimes I use pictures or actions to represent vocabulary we have practiced. When using grammar I might say “yo (bailar)” for the term “bailo”. However, I think that using the English terms works well too. The beauty in this activity is that TWO students have each term you call. They have to be the first person to say “Lo Tengo” before the other student can do so. Change up the cards often! Every 5 or so terms I call, I instruct my kids to mix up their cards with their team. This prevents them from getting too comfortable with one term, and it forces them to practice more. There you have it! A super, simple activity that can be applied to every chapter and every concept.